Usain Bolt has marked his first start for A-League side Central Coast Mariners with two goals against Macarthur South West in a preseason friendly. Bolt, the 100 metres world-record holder and eight-time Olympic gold medal winner, joined Central Coast on trial in August in a bid to win a contract and admitted the game would be key to his future. 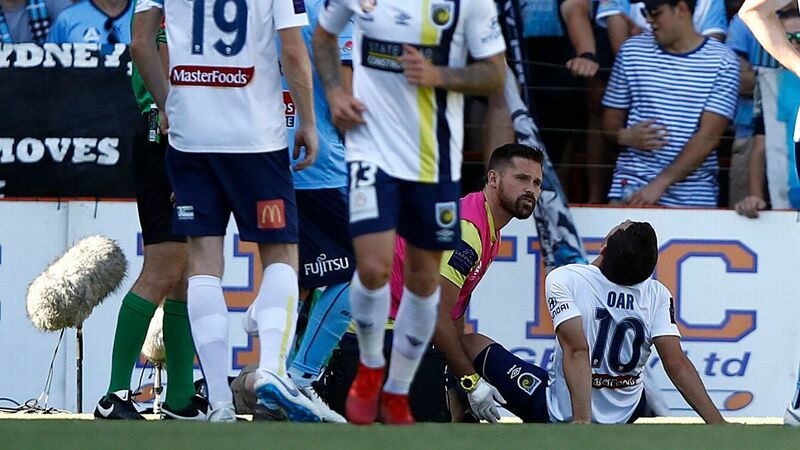 Playing in a central striking role, he scored his first in the 55th minute to put Central Coast 3-0 up with a powerful left-footed finish after racing onto a Ross McCormack through-ball. He promptly produced his famous lightning bolt celebration. His second goal came in the 68th minute when he capitalised on a defensive error to tap home from close range. Bolt had a number of other chances before being substituted in the 75th minute, but he struggled early in the game to maintain possession. Just under 6,000 people turned up on Friday night at Campbelltown Sports Stadium, and they gave Bolt plenty of support whenever he touched the ball, especially one enthusiastic horn blower. "I've been working, trying to get fit to the level that I can play for 45 minutes," Bolt told the club's official website. "To me, I played well and happy with the progress I'm making. I was telling myself if I got the guy off my shoulders, set up myself and hit the target, that was the key thing. "The coach told me you will get chances, don't get frustrated if you miss it's a part of the game, you got to continue pushing till you get those chances. I need more games to get better and to know where to be. The coach will play me in different places, because of my speed, other strikers. "We will sit down with the club, discuss and see if we want to move forward and what I need to do and how to do that. For me I'm taking this a step at a time and I want to push myself to see how far I can go. We have to sit down after this game, the season will come up, figure out what were got to do but until that I'm here to train." McCormack added: "The best thing about Usain Bolt is he's so humble. He's fitted in well with the lads. From my first day even to where he is now, the transformation is huge." Usain Bolt celebrates his first goal for Central Coast Mariners. Before his double, Bolt wasn't always convincing, either in his finishing or in holding and distributing possession. As early as the second minute, he broke clear but wasn't able to get a shot on goal, as he lost the ball before getting to the penalty area. In the 23rd minute, he won the ball in the penalty area after losing it, but his close-range shot came off a defender and was comfortably saved. He came close in the 39th minute when he had his best moment of the first half. The 195cm Jamaican made a strong, well-timed run and jump at a left-wing cross from Tommy Oar, winning an aerial contest and putting a firm header just wide of the post. McCormack and Jordan Murray scored the Mariners' other goals in their 4-0 win in their final preseason game. 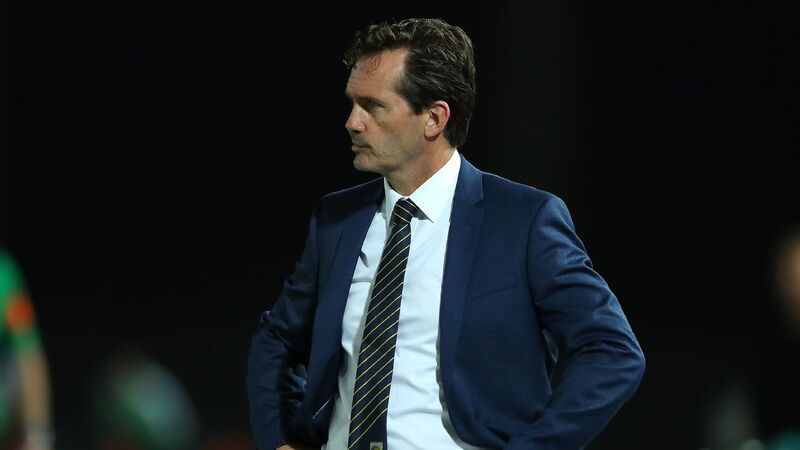 The A-League season begins next weekend, with Central Coast away to Brisbane Roar on the Sunday. Bolt retired from athletics after the 2017 World Championships and has been eager to forge a new career in professional football, one of many pros to switch sports. Information from the Australian Associated Press was used in this report.